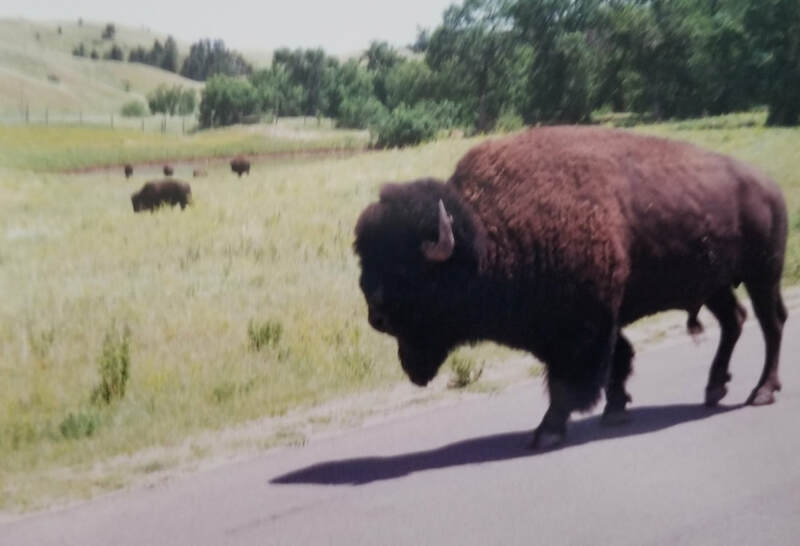 A year after the marathon road trip that ended at Niagara, my grandparents transported my thirteen-year-old brother and ten-year-old me north through the great plains and west. The goal was Jellystone (as my Mom would say). I was all in for the adventure until I spotted that empty coffee can. I swallowed my contempt for the vessel in the name of discovery. Our first day was marked by marathon driving. Covering vast amounts of flatland with the same ole repeated topography was not entertaining and the travel games such as I Spy were quickly depleted. I was glad when the day ended and we stopped at Burger King. The treat was a cherry icee. I don’t know why but dinner didn’t sit too well and managed to find its way back up when I had settled into bed at our hotel. My dear grandma did the best she could to clean up the mess I made. She also left a handsome tip for the cleaning staff. Sometimes, there are just signs of impending doom. The regurgitated cherry ice should have been my sign. A physically sick girl who needed her mama soon became an emotional little girl who needed to be home. I didn’t know then but my brother was eager to get home as he had a new crush. He was rather masterful at egging me on to cut the trip short. But my grandparents have been through tons of tough times in life and they weren’t going to let this little tummy issue sideline an epic expedition. 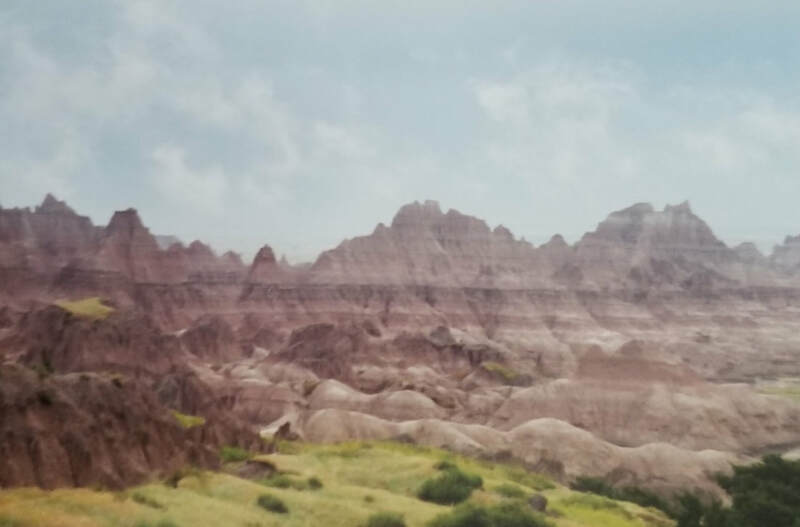 So on we went driving through the Bad Lands to Mount Rushmore in South Dakota. 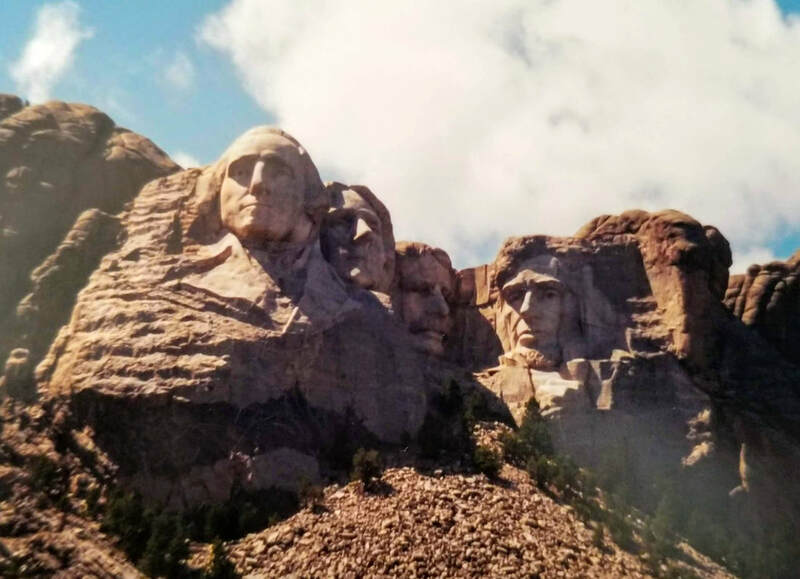 The faces of Tom, George, Abe, and Theo (Mom always rattled them off like the Beatles) carved out of granite and mica schist were impressive indeed. Sidebar: Don’t ask which fellow is Rushmore, though, as it was named after an attorney from New York City who simply inquired about the mountain's name way back in 1884 when he was there to do some work with property titles. This question is the equivalent of asking people from Brazil if they speak Brazilian? Our next stopping point was the famed Jackson Hole, a valley between the Teton Mountains and the Gros Ventre Range in Wyoming. 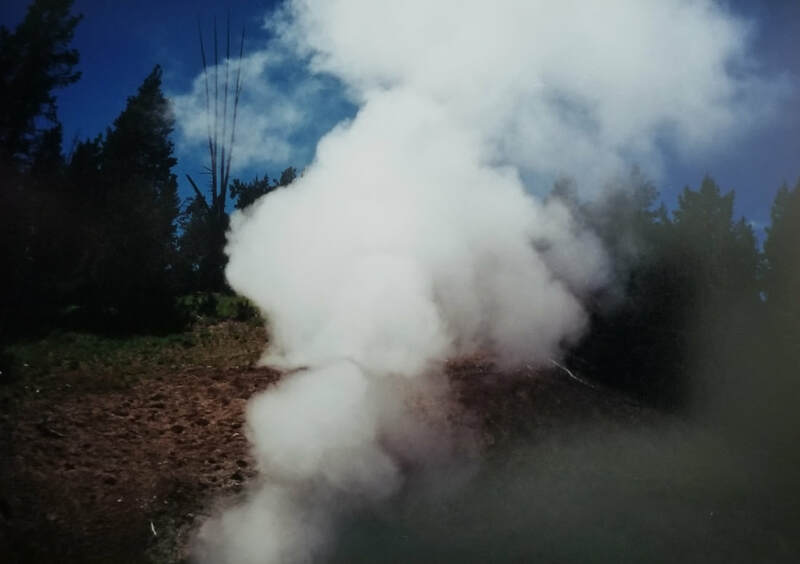 Sidebar: While I’m on name origins, Jackson Hole was named in 1829 after a trapper named David Jackson who said the valley (“hole”) was his favorite trapping area. The name is a terrific homage to the trappers and furriers and explorers of those early days. We rode a ski lift to the top where I was surprised to find snow in the middle of summer! Sidenote: Grandma’s favorite place in the world is the Grand Tetons. 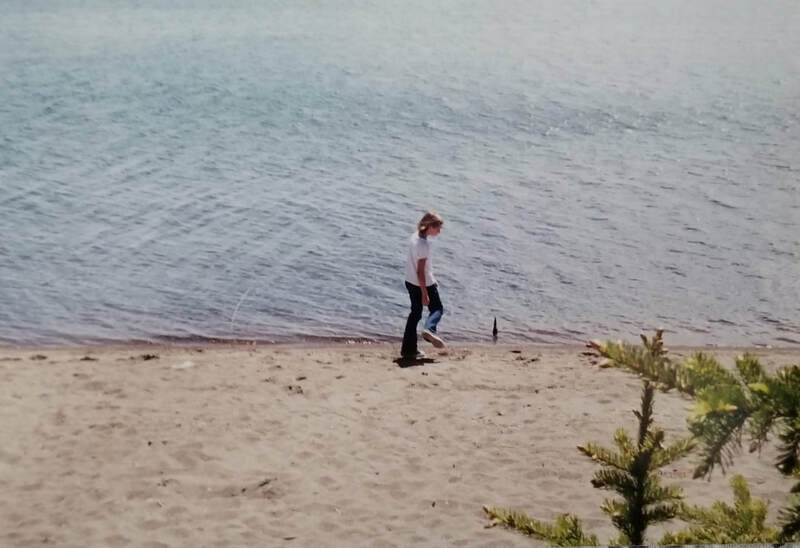 As a young child, she lived in a box car in Wyoming with her family. And Jackson Hole is an entry point to Yellowstone, a UNESCO World Heritage Site. 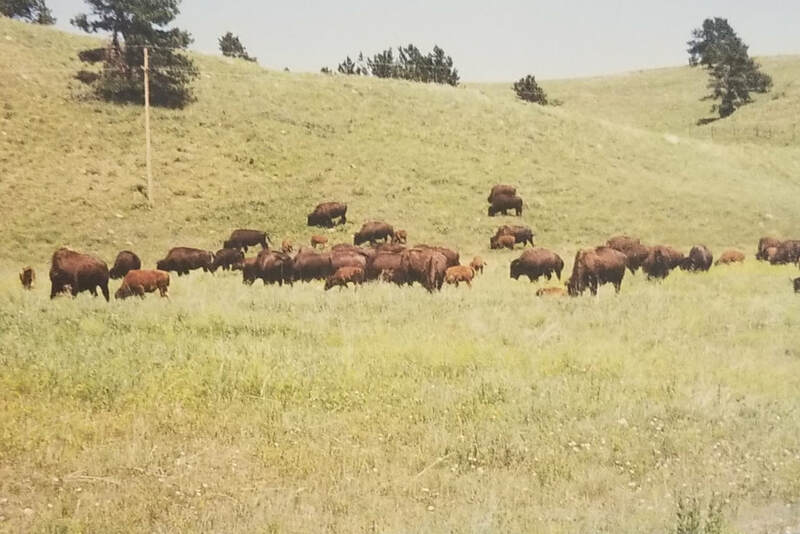 I recall numerous bison just about everywhere though the grand prize of I Spy – Animal Edition was bears. It took a great deal of squinting and patience but we finally spotted a pair of cubs in a tree! 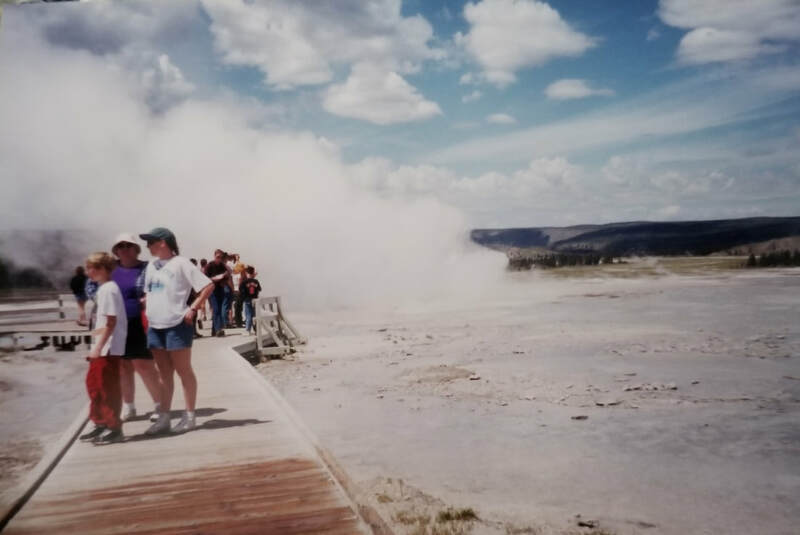 It didn’t register with me at the time but I knew that Yellowstone was a supervolcano. 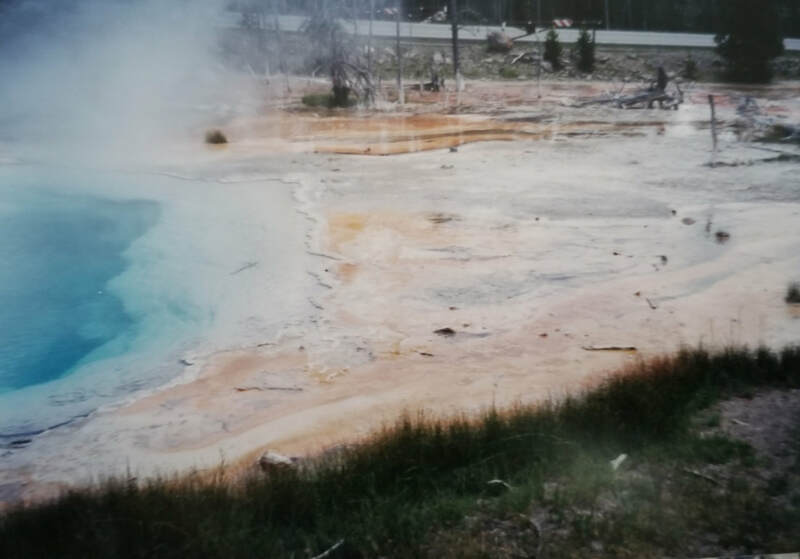 There were smelly areas (sulfur doesn’t smell like roses), geothermal springs and incredibly bubbling lakes. 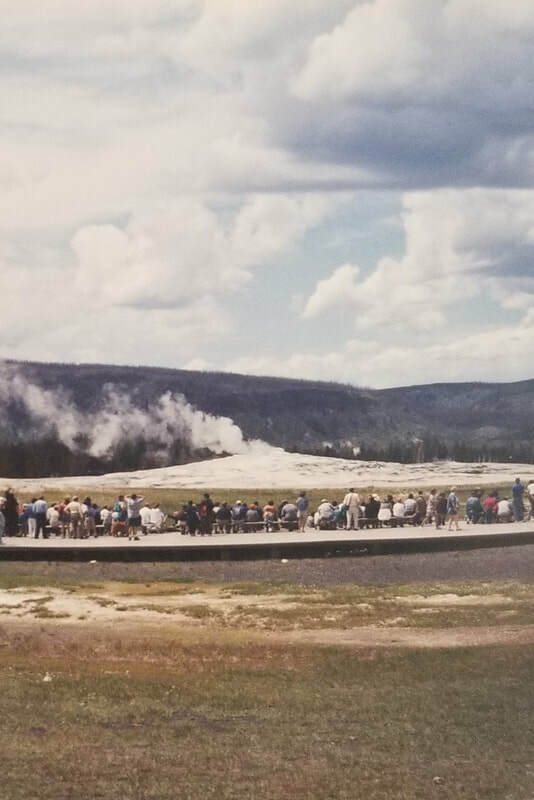 Like thousands of others, waiting patiently for the bears was a precursor to waiting for the most observed geyser Old Faithful to do her thing. And she did. Just like clockwork. We took up residence in a two-story cabin on the Idaho side of the park. The upstairs bedroom was really a two-bed loft that boasted an outside entrance (stairs up to the landing at the door). The stairs inside the cabin were narrow and open-backed.The single restroom was on the main floor. As tired as I was, I couldn’t sleep. First, the continuous snoring of Grandpa was an assault on my brain. My teeny weanie bladder and the proximity to the restroom complicated life though there was no way in heaven I’d draft the coffee can back into service. But the real stressor, the one that literally terrified me, was the notion that a bear could climb the stairs and burst through the outside door. I was the closest to the door and knew I’d be the first victim. Sidebar: The movie Great Outdoors with John Candy and Dan Akroyd were my primary source of information for how these things unfold. Our final stop of this trip was to be the Dinosaur National Monument. Even though it sounded fun, the Grands had had enough of my brother and me and decided to get us home a day ahead of schedule. That evening as we drove across Kansas, we observed the development of a ferocious storm. Kansas is flat, very flat, very very flat, and it’s easy to spot things quite a distance away. The most fascinating and frightening component of the storm was a tornado we watched develop, drop and then cross the landscape. We weren’t sure if we were running parallel to it or would cross. Our options were to stop and shelter in place from the storm or drive like crazy people. At the first motel we encountered the clerks were more interested in the weather channel than renting rooms, so my grandpa decided we would move on. We watched as debris whirled above the ground until it met the funnel cloud, forming a tornado. Although some stopped alongside the road of a photo opt, we continued driving and tuned in to the weather channel. We were advised that a tornado might hit our exact location within the next ten minutes so we continued our journey home. The Grands had hoped to rest for the night in Salina, Kansas, but by 10 o'clock all the motels were full. Six hours straight of marathon driving (aka “no stops”) was no match for him, and surprisingly I didn't need to use the can! While this story is amusing now, I feel bad for how my brother and I spoiled their trip. If I could, someday I’ll plan a do-over. It’s also part of the reason my Mom and I planned a SW road trip in summer 2017 for my Grandma. More on that in another chapter. It was four years before the Grands invited us on another trip with them!